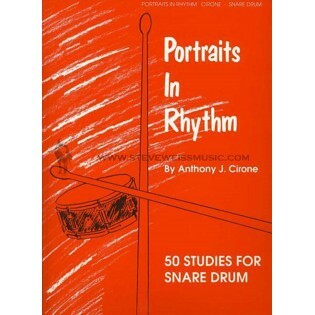 Portraits in Rhythm by Anthony J. Cirone is one of the classic snare drum books in print today! 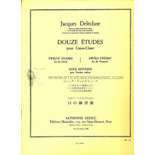 This publication presents the reader with challenging and stimulating material for the intermediate and advanced percussion student. Portraits in Rhythm contains 50 musical solos and brief performance notes. The included solos explore musicality and expression in ways that will challenge most students. All of the solos are great for audition material. Anthony Cirone's masterful book is a must-own for the serious percussionist! 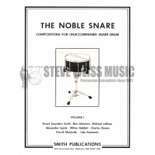 Anyone serious about studying concert snare drum needs to work through this book. A standard requirement for percussion majors at most universities. This book is a staple of percussion literature. 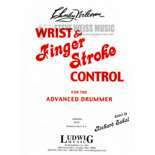 Every percussionist must own it. Very good book! 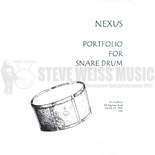 This is an excellant book for ANY percussionist who needs solo pieces and/or for any percussionist who needs some work on their skills on the concert snare drum.